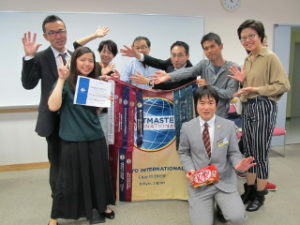 Tokyo International Toastmasters Club is always seeking for new members to learn communication and leadership skills together. Requirements:Those who are more than 18 years old, and those who visited our meetings twice or three times (the visits do not have to be consecutive). Toastmasters is a non-profit organization. All the fee will be used for educational purposes of our Club, such as buying textbooks and room reservation.